Our work wouldn’t be possible without the extraordinary generosity of our corporate partners. We develop partnerships with companies across a wide range of industries, delivering clear business benefits for them, and vital funds for the work we do. We are thrilled to announce that Atlas has chosen Cancer Focus NI as their charity of the year 2016/2017. The team have planned lots of fun events to raise money as well as raising cancer awareness with their staff through health promotion days. 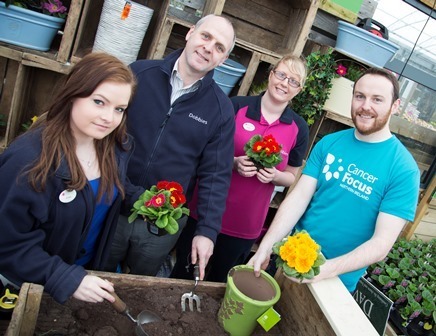 We’re delighted to announce that leading garden centre Dobbies, Lisburn, is our charity partner for 2015/16. Staff are holding family fun days, sporting challenges, events and raffles to raise vital funds for the charity and raise cancer awareness at information days in the centre. MediCare Pharmacy Group has held one of the longest partnerships with Cancer Focus NI and has raised over £74,000 for our Think Pink! Breast Cancer Awareness Campaign. The group continues to provide support by holding fundraising events raising vital funds and providing a platform for raising cancer awareness in each of their 54 NI stores. We’re delighted to have been chosen in a customer vote as the charity partner of the year for Sainsbury’s, Newry, for 2015/2016. Over the year we are hosting a variety of events in-store, as well as a number of cancer awareness days. Top Class supports Cancer Focus NI by donating valuable staff time to help with mail shots, assembling health promotion packs and bucket collecting. We are pleased to receive support from two departments within Lloyds Banking Group. Staff volunteer their time to bucket collect, and Lloyds match the total collected. This support is vital to our charity. Our Beauty for Life service was developed in partnership with Clarins Northern Ireland to help patients restore confidence in their personal appearance and to boost their self-esteem. 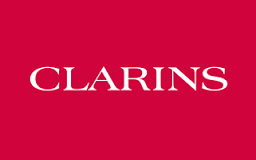 We are indebted to Clarins Northern Ireland for funding the first two years of the service, providing all the beauty products used during the sessions and also ‘goody bags’ with sample products for patients to try out at home. Acheson & Glover is a concrete manufacturer with over 400 staff. Already the company has supported our Man Van MEGAPULL and raised cash for the charity. Staff will be holding a variety of events including coffee mornings, think pink events, Grow A Mo and information days. The Department of Justice has been supporting Cancer Focus NI since 2011 holding Think Pink fundraising events. We’re delighted to continue to receive this vital support. We’re delighted to receive support from CareCall, a mental health organisation, which has chosen Cancer Focus NI as its charity partner of the year for 2015. 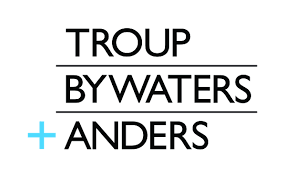 We were chosen for the Troup Bywater & Anders five year anniversary celebrations and received over £1,100 to support our work. They held various fundraising events during 2015.